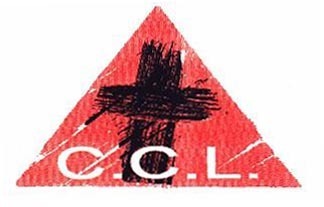 Communauté du Christ Libérateur is a group of homosexual Christian men and women who wanted to create a cosy and hospitable place for all those who wish that their homosexuality mean an added value in their lives, they wanted to offer a chance for real meetings with other gays. We offer the opportunity to establish disinterested friendships, lasting and profound, by means of cultural and leisure activities, think thanks and groups that want to share with one another the questions that life poses to us. We offer to all who wish so a place for spiritual reflection and the common celebration of Jesus Christ. For we believe that God loves us as we are, comes into our lives as our lives are, that He loves us being gays! Homosexuality is still too often experienced by many as a disease of which one has to be cured, as a burden or stigma; we, we experience homosexuality as a chance, as an opportunity to establish deep bonds and solidarity. The Community Christ Libérateur has in 1994 adopted the form of a non-profit organization, after having functioned for twenty years as an actual association and publishes a quarterly “Letter”. The community is connected with other Christian basic communities in Brussels and the Walloon provinces, with other homosexual societies in Belgium (in particular within the framework of the Belgian Lesbian & Gay Pride (BLGP) and the Federation of Francophone Lesbians and Gays Associations (FAGL)) and finally with similar associations in Flanders and in Europe.